I love kitchen gardening though in a small way. In my balcony, I have a small kitchen garden with okra, tomato and bean creepers. As these long bean leaves are edible and are very tasty when stir fried. Long beans are very common in markets. As this beans plant doesn't need any maintenance or much care, it is easily planted and grown. The bean leaves are smooth textured with a nice flavor. 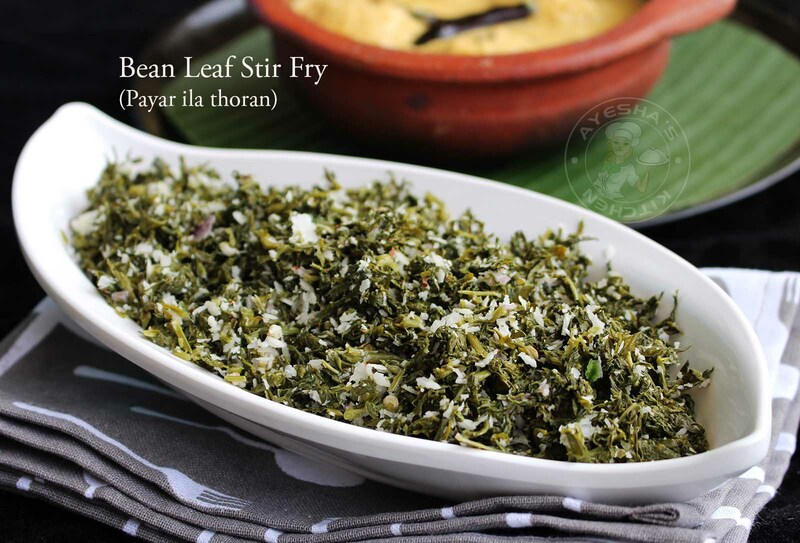 Bean leaf stir fry / payar ila thoran , bean leaf curry / payar ila curry, bean leaf soup are some of the common recipes with bean leaves. 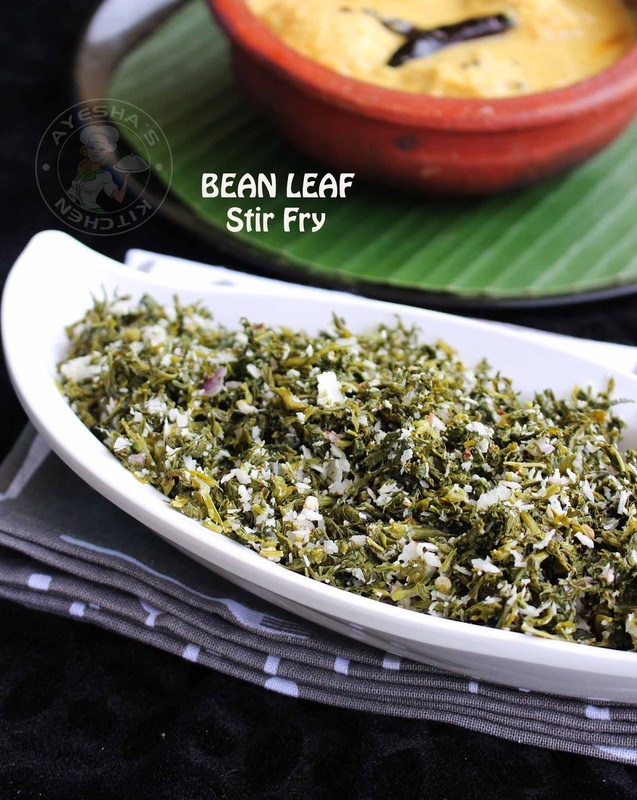 In Kerala, bean leaf is chopped finely and cooked along with coconut condiment and other spices to make a stir fry recipe. 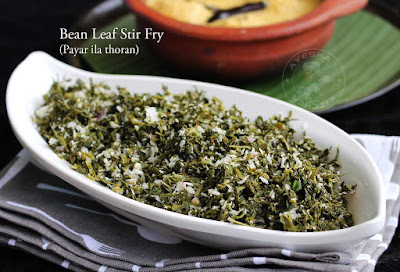 This dry side dish is popularly known as payar ila thoran / payar ila chammanti in Kerala. A very tasty side dish to have along with steamed rice. Wash the bean leaves well and set aside to drain. When it slightly cool, squeeze the leaves by pressing tightly with your hands. Like so, squeeze the water in leaves completely. Set aside this leaves. Now make coconut condiment (thenga chammanti) by pulsing all ingredients given under ' for coconut condiment '. When done, set aside. Now heat a pan. 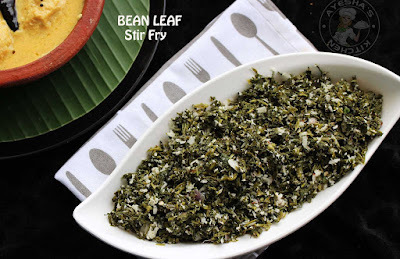 Add this squeezed bean leaves along with coconut condiment. Stir well to combine. Stir fry for few minutes and remove from flame. Check for salt (add less salt for stir fried veggies).